As the Botanic Gardens continues its bid to be recognised as a UNESCO World Heritage Site, more stories of the garden’s amazing history are coming to light. One such story revolves around a flight of of inconspicuous brick steps that from afar, seem nothing more than just a pedestrian connection between undulating lands. 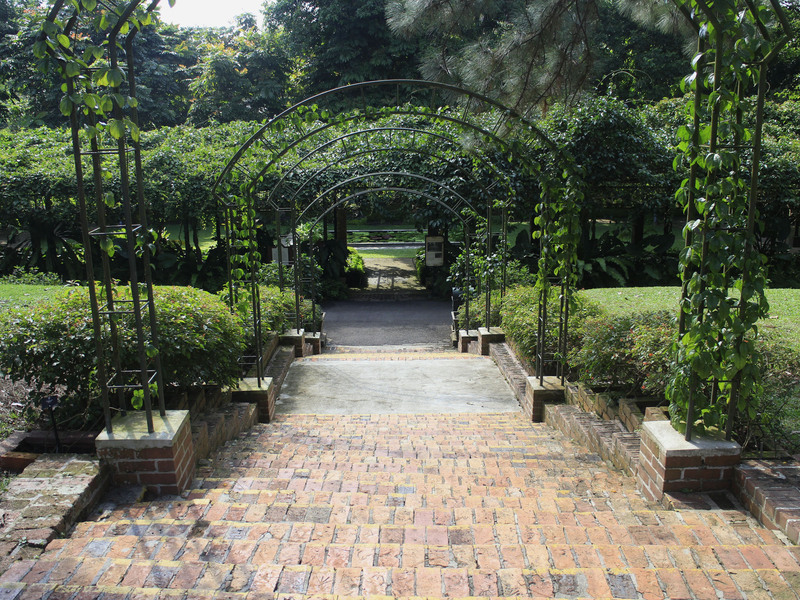 These two flights of brick steps were in fact built by Australia Prisoners-of-War during the Japanese Occupation, and is part of the many involvements the Japanese had, led by Professor Hidezo Tanakadate, when they took over the Botanic Gardens on 20 February 1942. 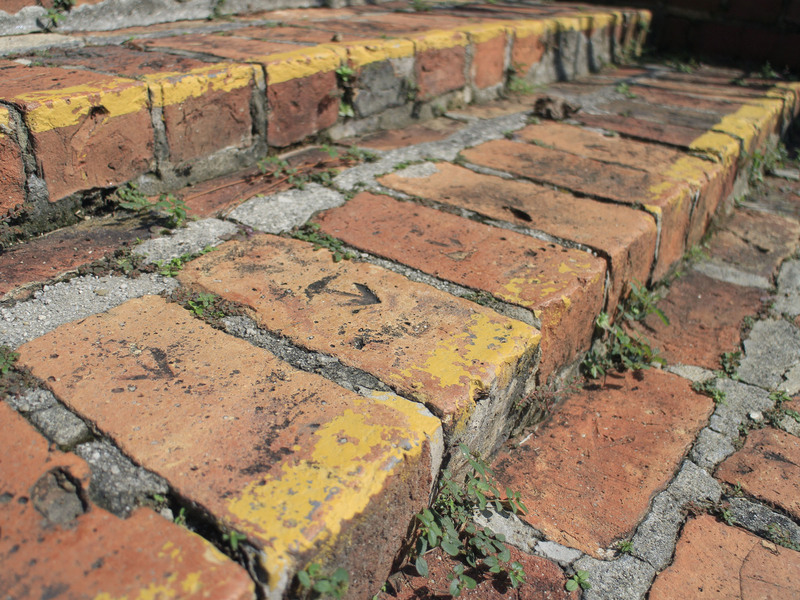 A closer look at these steps reveals a curious consistency in the form of rough-cut and non-uniformed arrows on almost every brick that is visible. While arrows were commonly used to mark Government property and identify key survey points during the colonial period, these arrows were actually an example of subtle defiance by the Australian POWs to identify themselves as ‘property’ of the Japanese. This story interesting only came to light in 1995, when 8 surviving Australian POWs retold their story. 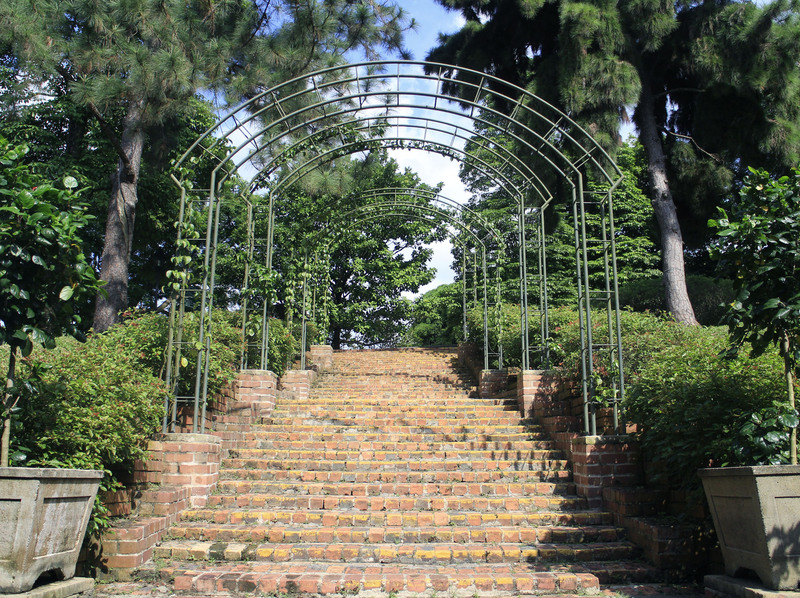 Today, the steps remain as a sign of bravery and reminder of the days of the Japanese Occupation. The mark shown is also common in Australia on properties that used convict labour in their construction.